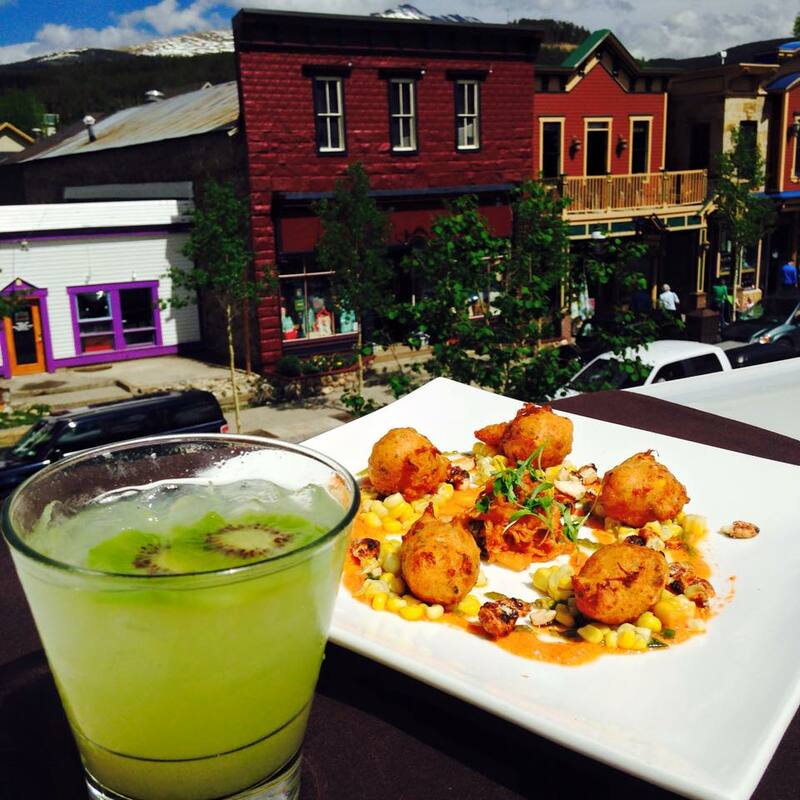 Mountain towns aren’t usually known for the best ethnic cuisine, but Breckenridge is changing that misconception! With more than a dozen restaurants serving international cuisine, it can be a challenge to choose where to mow down. We’ve handpicked our top ethnic food joints in town, along with the local lowdown on their best dishes. ♦ Asobi Teppanyaki & Sushi, 110 S. Park Ave., Phone (970)547-2862: Asobi is Breck’s only restaurant featuring Hibachi grilles and Malaysian Curry dishes. This is the perfect spot for any sort of celebration. Their lunch menu is amazing, too! ♦ Bangkok Happy Bowl, 103.5 N. Main St., Phone (970)547-9998: Serving some of the best Thai cuisine and fresh sushi in town, this new establishment is known for their curry, Thai iced tea, sushi hand rolls and delicious sake. 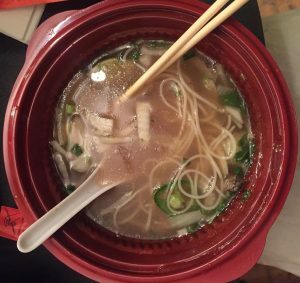 ♦ Pho Real, 301-2 N. Main St., Phone: (970) 423-6732: Breck’s only pho joint, this new favorite features Vietnamese dishes with a twist. Our favorite treat here is the pho-rrito! Their spring rolls are scrumptious as well. ♦ Lost Cajun, 411 S. Main St., Phone (970)547-8330: Bringing tasty Louisiana flavors and southern hospitality like no other place in town, the Cajun is known for some of the most epic gumbo which is sure to please all palates! ♦ Swiss Haven Restaurant, 325 S. Main St., Phone (970)453-6969: The Haven offers authentic Swiss cuisine and tasty European fare with an atmosphere inspired by the Swiss Alps. Recently remodeled and under new ownership, many say this spot offers some of the best fondue in the country. ♦ Crepes ala Cart, 307 S. Main St., Phone (970)453-4022: The crepes cart is Breckenridge’s most popular food stand, having served over 1.5 million crepes to date. The line for this coveted cuisine can get lengthy, so we suggest hitting it earlier in the morning to avoid the crowds. ♦ Belle V, 500 S. Main St. in La Cima Mall (ground level), Phone (970)771-3456: This new restaurant serves French-inspired plates crafted by Chef Stephane Ohayon. Enjoy a glass of fine wine while enjoying recipes straight from France that have spanned centuries. ♦ Le Petit Paris, 161 E. Adams Ave., Phone (970)547-5335: Le Petit Paris has been bringing some of the finest French cuisine to Breckenridge for decades. Their extensive wine list will not disappoint, and neither will their Steak Frites and Crème Brulee! 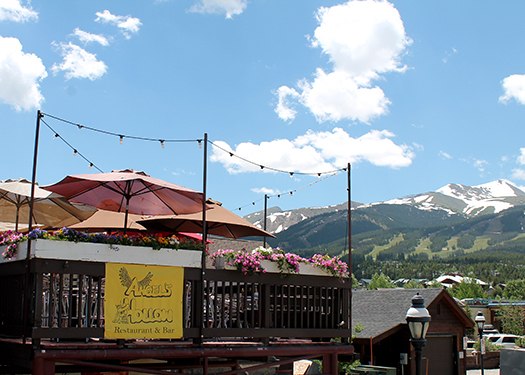 ♦ Burke & Riley’s Pub, 520 S. Main St. (La Cima Mall 3rd Level), Phone (970)547-2782: With a roof deck known for having some of the best views of Breck, Burke and Riley’s offers traditional Irish cuisine and libations in the heart of town. ♦ Napper Tandy’s, 110 E. Lincoln Ave., Phone (970) 453-4949: Serving up Irish fare in their downstairs restaurant known as Salt Creek, Napper’s also has some of the best nightlife in town at their upstairs pub. Make sure to check out their enormous deck and fire pit while you’re there. ♦ Mi Casa Mexican Restaurant & Cantina, 600 S. Main Street, Phone (970)453-2071: Mi Casa sports some of the best Mexican food and most delicious margaritas in the county. Enjoy a meal on their patio which overlooks the Dredge and Blue River with one of the best mountain views in town. ♦ Rita’s Margs & Taco Bar, 301 S. Main St., Phone (970)453-7313: Rita’s has been a local favorite for years and serves some of town’s tastiest tacos (the hippie taco is amazing), salsa, and pleasantly potent margs. We highly recommend heading there on a Thursday for trivia night, but get there early so you can claim a seat! The games start at 8 p.m.
With so much variety, there is something on this list for all to enjoy. Next time you’re visiting your home away from home in Breckenridge, pop by one of the above establishments for an experience that your taste buds will not soon forget. For the best lodging deals in town, make sure you book your stay with breckenridgediscountlodging.com today!! We’ve got live music, Epic Discovery, fat bike tours, wine tastings, craft beer tastings and more! Check out everything going on this weekend. Epic Discovery Park | All Day | Base of Peak 8 | Rock climbing, zip-lining, roller coasters, alpine slide and more! Click here for the best lodging deals in town and here for happy hour specials and more! Summer is here and it’s time to sit back, relax and enjoy a drink out in the sun. Breakfast, lunch, happy hour or dinner, there is a perfect patio for any occasion. 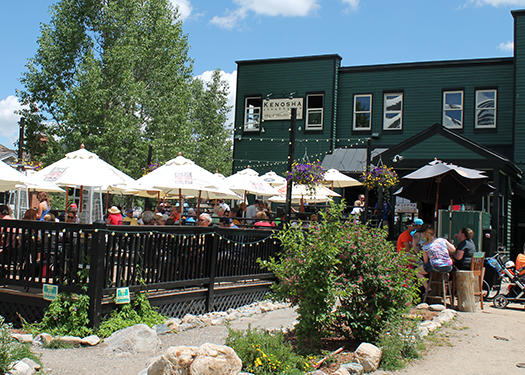 We have compiled a list of our top ten favorite patios in Breckenridge. Take a look and let us know if we missed your favorite. You may not realize that Modis has a rooftop patio at first, however this is a great place to enjoy a cocktail outside. On top of this two story building, you will find the sun shinning and a bird’s eye view of mainstreet. Modis has two daily happy hours with unique drinks that take you all the way back to the 1920’s. From El Diablo (a mix of tequila, lime juice, blackberry liqueur and house ginger beer) to the Lion’s Tail (a mix of bourbon, allspice liqueur, lime juice, simple syrup and Angostura bitters) there is something for everyone. Insider Tip: Order from the ever-changing happy hour apps. You will not be disappointed. If you are looking for a top-notch place to dine, but also be outside, Relish is the place to go.Their daily happy hour is from 4-6 pm that includes a two for $10 deal that allows you mix and match drinks and apps all for $10! Make sure to fill up during happy hour or you will be wanting to stick around and order dinner. Insider Tip: Plan accordingly and make a reservations as this space is smaller. 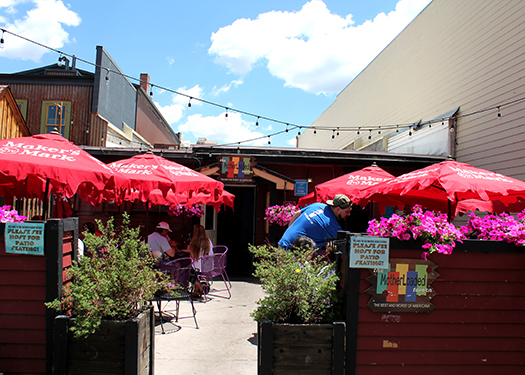 Known for their comfort food and live music, this place has a spacious patio. The Mother Loaded Tavern (MLT) hosts a porch party every Sunday that is great entertainment for the whole family. They also have a daily happy hour that include unique drinks and great appetizers. Insider Tip: They have homemade infused liquors and anything including mac n’ cheese is a go. Trust us. 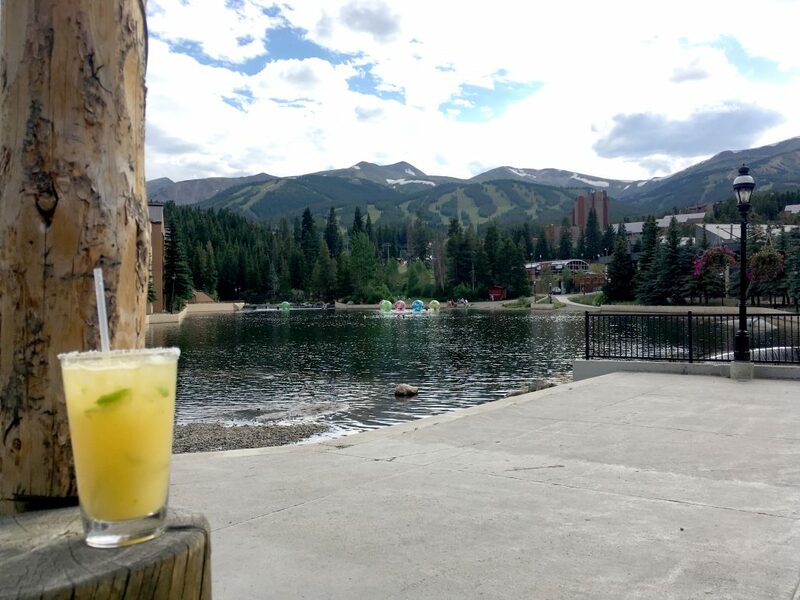 Do you like margaritas, blood mary’s or a good view of the mountains? If you answered yes, then Angle’s Hallow is the deck for you. Located a block from main street, this tucked away gem is the perfect place to soak in the views and weather in Breckenridge. They are generous with their drink pours, so bring your friends and be ready for a good time. Insider Tip: Don’t skip out on the salsas and sauces. They are seasonal and fresh! Start your day off right with one of the locals favorite places to have coffee or a bite to eat. The Crown is the hippest place in Breck to enjoy coffee in the morning and happy hour/bar in the afternoon. Enjoy the patio out back while the background noise fills with sounds of the river just across the way. Insider Tip: Cool off with some of their ice cream delights! A popular place to hang in the summer, Kenosha’s spacious deck is big hit. Happy hour: check, games: check, great food: check and plenty of sun: double check! Spend the afternoon hangin’ on this patio for a time well spent! Insider Tip: Kenosha has a rotating tap menu. If you are looking for a new beer or an all-time favorite, check out their tap list here. Do you like martinis? Either way, your going to love Blue River. They have all kinds of different martinis including a Paloma martini, Champagne Dreams martini, Tequlia Sour martini, Breckenridge Sidecar martini and more! Enjoy any of their unique and delicious cocktails while sitting on their side patio. While you are there, make sure to check out their two-for-one daily happy hour and outstanding menu. Insider Tip: While known for their happy hour, their food is NOT something to miss out on. Come one come all! (even the furry ones are allowed). 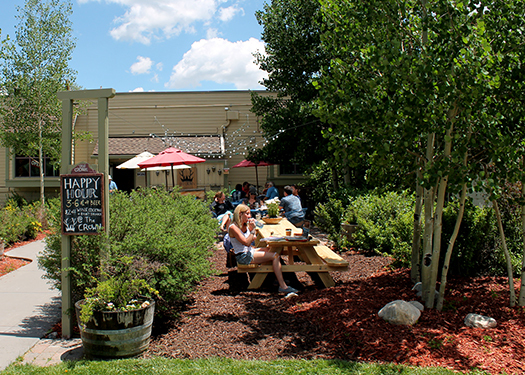 Enjoy food and drinks steps away from the Maggie pond. This place not only has great happy hour and food, it also has fun games to enjoy outside . Insider Tip: Try the jalapenos margarita for a drink your sure to love! Known for their twist on drinks and food, this place has the perfect ambiance to relax the mood while trying something new! They are known for their technique, creativity and love they put into everything they serve. Insider Tip: If you aren’t sure, ask for recommendations. 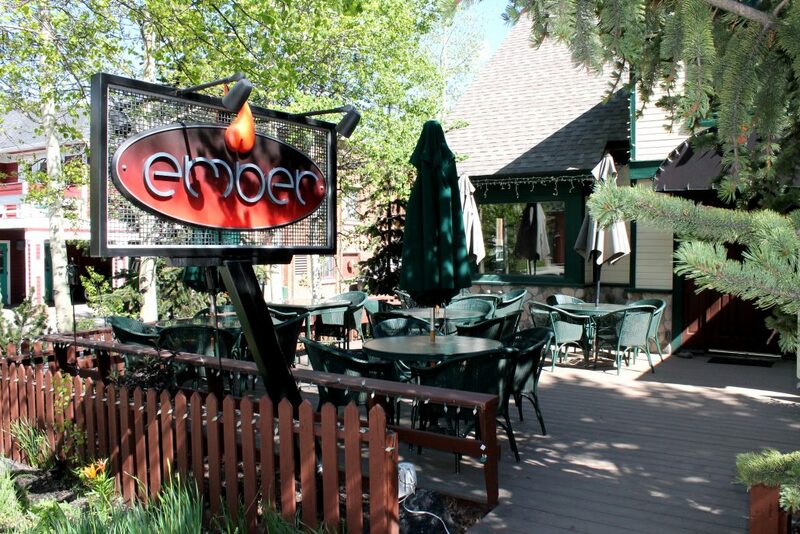 Ember is known for having their sommeliers and chef’s give fantastic suggestions. Located at the base of Peak 8, and attached to the Grand Colorado on Peak 8, Robbie’s Tavern is the newest addition to slope side dining. This casual dining spot is privately owned and run by the same team as The Canteen Tap House and Tavern. 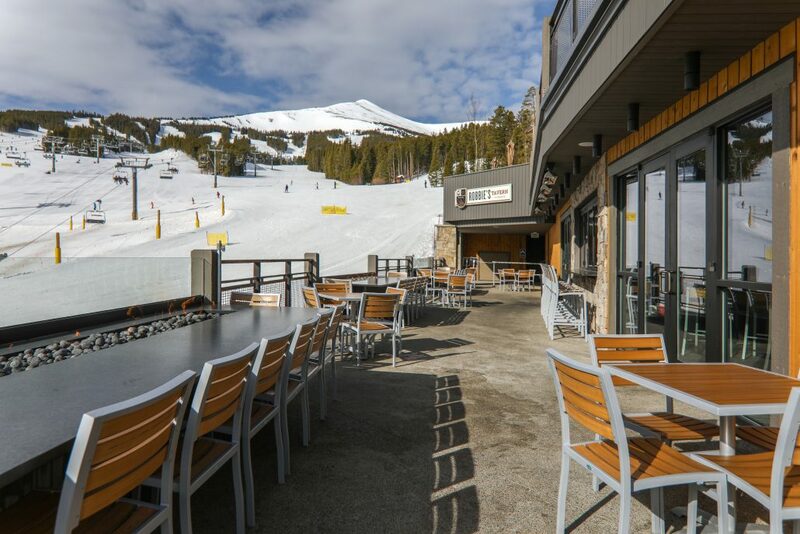 With stunning views of Peak 8, a large patio area and delicious food, this is a perfect spot to swing by while on the mountain. Insider Tip: Chicken drummies are a must and they pair perfectly with a tin cup mule. The Peak 8 Fun Park is now Epic Discovery! The new and improved Epic Discovery Fun Park opens Friday, June 9th! Breckenridge Ski Resort has renamed the Peak 8 Fun Park, Epic Discovery and with good reason! Epic Discovery was named because Breckenridge’s signature summer activity has grown so much that it now encompasses Peaks 7 and 8. This summer there will be the addition of a newer, bigger Gold Summit Climbing wall, a new ten tower zip line and the new Aplineer Challenge Course, a multi stage ropes course nestled high in the trees above Peak 7. All of this is new and in addition to Peak 8 stalwarts such as the God Runner Coaster, Mineshaft Maze and of course the Alpine slide. Here is a breakout of just some of the various activities you and your family can enjoy at the new and improved Epic Discovery Fun Park. Expedition Zipline Tour – Test yourself on the new Expedition Zipline Tour. Based out of the new Independence Outpost on Peak 7, you will fly along 8 ziplines between 10 towers and 200 ft long aerial bridge walk. Get a bird’s eye view of the mountains, the skyline and critters along the forest floor. Gold Summit Climbing Wall – Start at the top of the new Alpine Camp, and then climb higher! The Gold Summit is a 40 ft tall climbing wall, with 16 distinct routes available- perfect for beginners to advanced climbers. Alpineer Challenge Course – This other big addition is also located at the new Alpine Camp. Pick your route and test your balance. Freely choose your route with 15 features including a log walk, rope swings, and more! Gold Runner Coaster – Enjoy this 2,500 ft alpine rollercoaster and race through the forest by yourself or with a friend and don’t worry. If it is too fast you get brakes! Alpine Super Slide – The alpine slide is the “old school” ride that started it all on Peak 8! Contesting of 3 tracks each 2,600 feet long, cruise down and race your friends as tracks 1 and 2 are side by side and identical. Breck 4×4 Tours – Ride in an open air 4×4 vehicles with up to six of your friends or family members. This 90-minute ride explores Peaks 8 and 7 and takes in beautiful views of the Ten Mile Range and the back side of the Front Range. Mountain Biking – Downhill mountain biking has been growing in popularity year after year and Breckenridge is a world class downhill biking experience. Get a mountain bike and take a chairlift to the top of Peak 8 for an exhilarating ride down the Breckenridge’s Mountain Bike Trails. From easy to expert there are trails for all ability levels. SuperPutt Mini Golf – Mini Golf is still as much fun as when it started way back when. 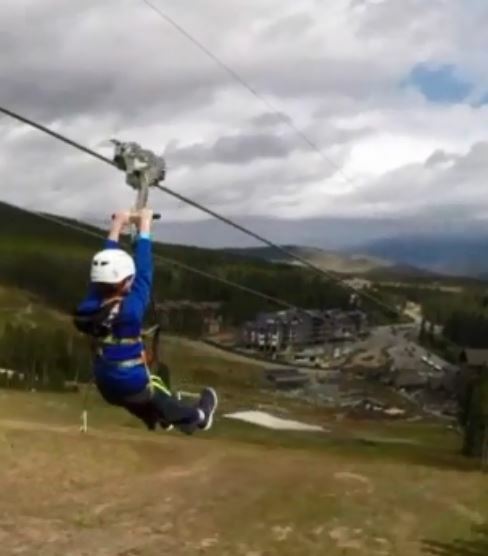 Breck has a great course for the whole family. Scenic Chairlift Rides – Take a scenic chairlift ride and now also the ride to the new Epic Discovery Alpine camp! The Colorado Super Chair runs up to over 11,000 feet in elevation and offers stunning mountain views. Ride back down or hike through Breckenridge pristine pine forests and aspen glades. Gemstone Panning – Great for kids, pan for gems and keep what you find! Mineshaft Maze – A Peak 8 summer all-star! Try and beat the clock in Colorado’s largest human maze. Kids win prizes when they are faster than the clock. Rockpile Climbing Wall –With the addition of the new 40-foot Gold Summit Wall at the Epic Discovery Alpine Camp there is a lot of climbing. The Rockpile wall is located at the base of Peak 8 and is easily accessible and fun for the whole family. Lil’ Climber Ropes Course – This year add one for the kids. This course offers super fun and safe obstacles for the kiddos to play on. Little Flyer Zip Line – a zip line perfectly designed for little kids to get the flying as soon as possible! SuperBungee Trampoline – Fly high on the SuperBungee Trampoline. Twist and flip as you gain even more altitude bouncing along. This safe and exciting trampoline is great for kids and adults. Tom’s Nugget Tubing – another kids’ ride a wonderful summer tubing experience. Ripperoo’s Bounce House – Kids love bouncy castles! This one is awesome and huge! Spend a day at the Breckenridge’s Epic Discovery Park and You will not be disappointed. For the best deals on Breckenridge Lodging visit www.breckenridgediscountlodging.com. Or stay right at the base of Peak 8 at the New and luxurious Grand Colorado on Peak 8.
https://www.bestofbreck.com/wp-content/uploads/2015/06/Tueday-June-30-2015.jpg 1500 1500 Meckenzie Donnell https://www.bestofbreck.com/wp-content/uploads/2015/08/logo-332x156.png Meckenzie Donnell2017-06-07 15:25:042017-06-08 17:16:03The Peak 8 Fun Park is now Epic Discovery!